After a long day at work, you may find yourself fatigued by all the remaining stresses, even after you have arrived home. The remaining negative emotions are bad for your health. They may prevent you from getting a healthy sleep. Various scientific studies have also shown a relation between the mental health and the physical health. If you let your mind haunted by negative emotions, your physical health will also get affected and deteriorate. That’s why stress and anxiety management is very important. If you can’t get rid of the stress and anxiety, there are some mood support supplements that can help you. Such supplements have been designed to improve the hormones and chemicals in your body responsible for your mood. One product that has received lots of positive reviews is Onnit New Mood. 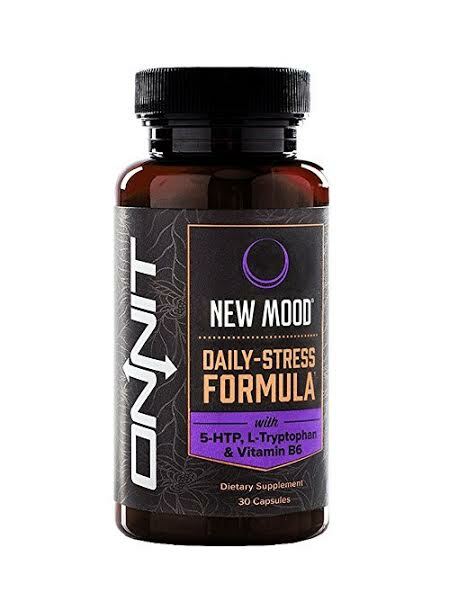 Onnit New Mood is a mood support supplement that has been designed to reduce stress and anxiety without affecting your concentration, alertness, and reaction time. It does not use caffeine, so it is free from all the negative effects often associated with the substance, such as insomnia and edginess. Thus, it makes an excellent solution for unwinding after work, allowing you to get a comfortable quality sleep. Many users are satisfied with the product. They say that Onnit New Mood is able to improve their mood effectively. Some say that the effect is fairly significant, whereas some others experience only minimal mood improvement. Nevertheless, the improvement is generally noticeable. Onnit New Mood helps them to get to sleep more easily and more comfortably. So, how does Onnit New Mood work? Onnit New Mood works by improving the level of serotonin in the neural system. Serotonin is a key neurotransmitter that is responsible for happiness and positive mood. Onnit New Mood improves the serotonin level to make you feel better by using a special formula called Onnit Tranquility Blend. It features L-Tryptophan, 5-HTP, and Vitamin B6, which are known to be able to improve the serotonin level in the body. There are also some extracts, vitamins, and minerals to support the bodily functions. As a matter of fact, a negative emotion can also be caused by a bad bodily function that we don’t even recognize. Onnit New Mood helps to eliminate mood problems caused by this reason. Onnit New Mood is free from gluten and soy. So, it should be suitable to most people. Even if you are allergic to gluten or soy, you can safely consume Onnit New Mood without worrying about your allergy. Onnit New Mood is safe for daily use. • Safe for daily use. • Reduce your stress and anxiety without affecting reaction time, alertness, and concentration. • L-Tryptophan, 5-HTP, and Vitamin B6 function to improve levels of serotonin, a key neurotransmitter that affects happiness, mood, and positive outlook. • Great for unwinding after a long day at work, helping to erase daily stresses and to get into a calm state before bed. • Gluten-Fre, Caffeine-Free, and Soy-Free. Other Ingredients: Vegetarian Capsule (Cellulose and Water), L-Leucine, Magnesium Silicate, Magnesium Trisilicate, Silicon Dioxide, Microcrystalline Cellulose. Check the best price of Onnit New Mood here!